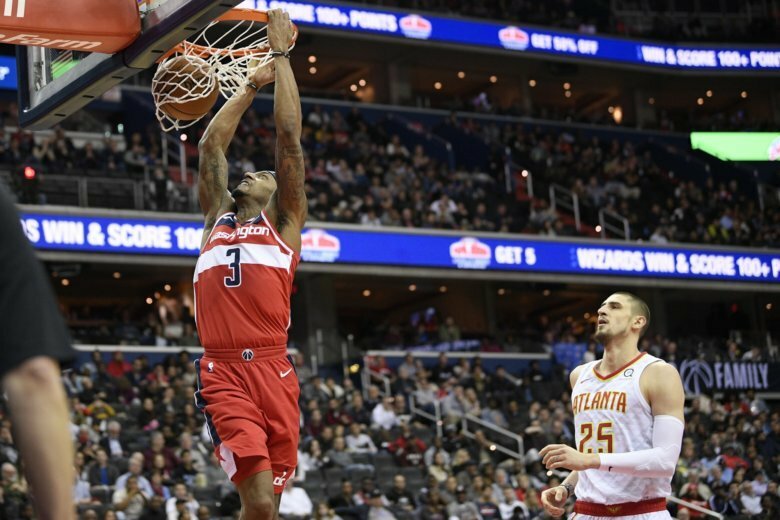 WASHINGTON (AP) — Just because All-Star point guard John Wall is out for the season, that doesn’t mean the Washington Wizards think they’re finished. Wall, scheduled for surgery on his left heel Jan. 8, hasn’t played in any of the past three games but the Wizards have won the last two. Tomas Satoransky had 14 points, seven assists and a career-best 11 rebounds for the Wizards, who improved to 15-23. They’ve won consecutive games for the first time since taking three straight from Dec. 1-5. Satoransky filled in for Wall last season when he had surgery on his left knee and missed 41 games. As a result, Satoransky doesn’t feel the pressure he did a year ago. Hawks: C Dewayne Dedmon returned to the lineup after missing two games with left knee soreness. … G Kent Bazemore was out for a second game with a sprained right ankle. … Atlanta coach Lloyd Pierce was assessed a technical foul in the third quarter. Wizards: F Markieff Morris missed his third straight game with upper back/neck stiffness. He saw a specialist and the Wizards were awaiting results. … F Otto Porter returned to the lineup after missing 10 games with a bruised right knee. He didn’t start for the first time this season and was restricted to 13 minutes. He scored nine points. Collins said Atlanta changed its game plan with Wall out for Washington, but it didn’t work. Wizards coach Scott Brooks knows he needs to change up schemes without his star guard. Hawks: Visit the Milwaukee Bucks on Friday in the finale of a three-game road trip. Wizards: Visit the Miami Heat on Friday in the opener of a three-game trip.